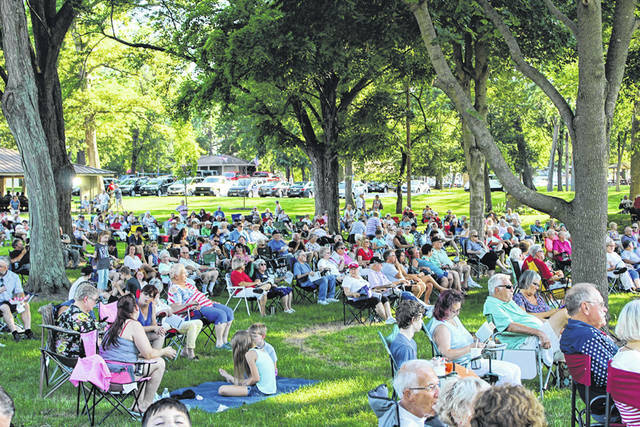 Hundreds of residents turned out Sunday to enjoy the first concert of the season by the Greenville Municipal Concert Band at the new Marling Band Shell in Greenville City Park. 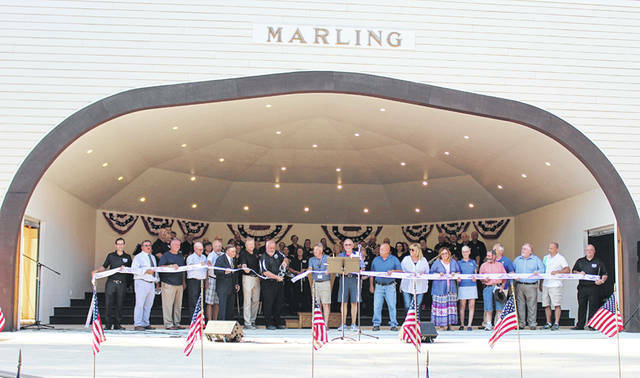 Dignitaries cut the ribbon Sunday evening to open the rebuilt Marling Band Shell at Greenville City Park. GREENVILLE — Hundreds gathered Sunday evening in Greenville City Park to enjoy a night of music and to celebrate the opening of the new Marling Band Shell. Greenville City Park Board President Dale Musser welcomed spectators and dignitaries to a Darke County Chamber of Commerce ribbon-cutting ceremony to inaugurate the rebuilt structure. Musser extended his thanks to the City of Greenville, those who designed and constructed the band shell, as well as corporate and individual donors. Former Greenville Mayor Mike Bowers said seeing the band shell rebuilt is a continuation of his own family tradition. Former Ohio Representative Jim Buchy said while the band shell is impressive, it is the people and the community behind it which make it special. Board Member Bob Nelson represented the Darke County Chamber of Commerce for the ribbon cutting. Upcoming Municipal Concert Band performances will be July 8 and 15, Aug. 5 and 12, and Sept. 2. The Jazz Band will perform July 22 and Aug. 26. All performances begin at 7 p.m.